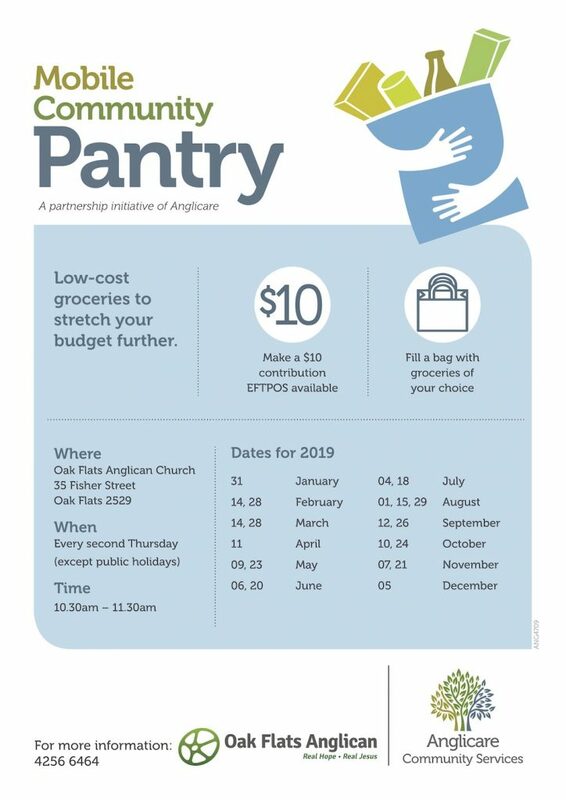 We have partnered with Anglicare to bring the Mobile Community Pantry to Oak Flats every second Thursday. Then you can fill a bag with groceries of your choice from all the stock available. For more information contact the office on office@oakflatsanglican.com or call 4256 6464.